Help me travel to all the states! 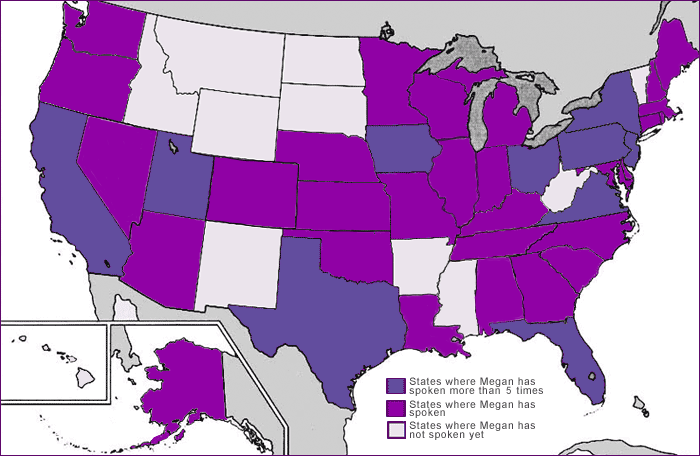 The map above shows where I've spoken and where I haven't. So far, I've been to 39 states, Washington, D.C., England, Ireland, Canada, New Zealand and on assorted cruises (yes, I welcome invitations from overseas). Help me color in this map more completely by inviting me to your home town! Check out the talks I offer and click here to submit a speaking request. I'll go pack my suitcase.